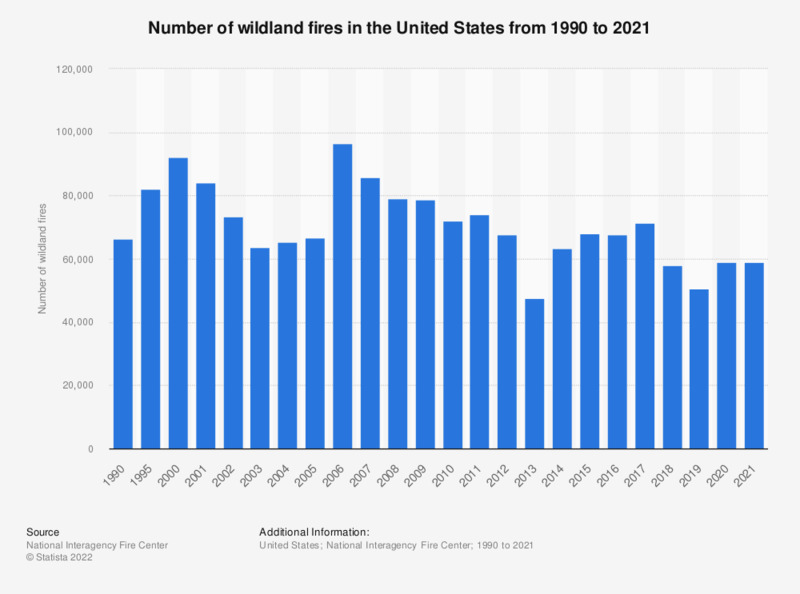 This statistic shows the number of wild-land fires in the United States from 1990 to 2018. In 2018, there were total 58,083 wild-land fires recorded in the United States. Data is for wildland fires only. The data does not include wildland fire use and prescribed fires.